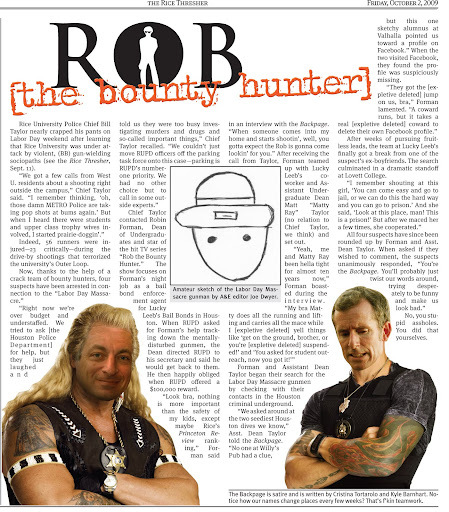 The Backpage explores what would happen if Robin Forman, the Dean of Undergraduates was like “Dog the Bounty Hunter,” the star of a VH1 television show. This was relevant because of the Caitlin Barnett shootings around campus. I created the two photo-realistic images, but the "amateur sketch" is a reference to an internet meme.